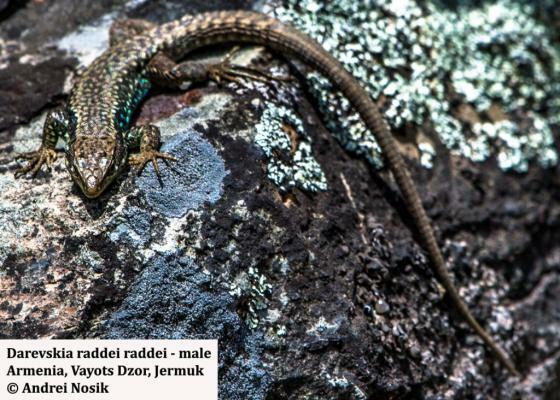 Can you confirm these amateur observations of Darevskia raddei? 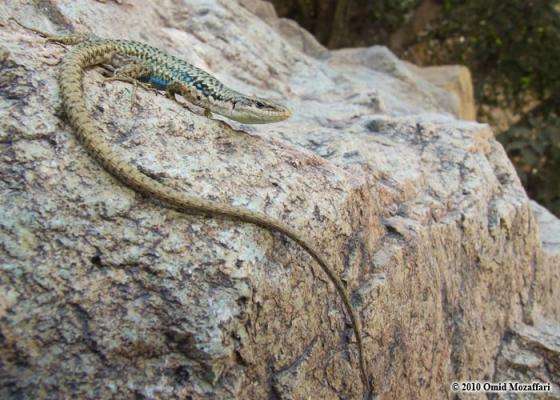 chaldoranensis: Iran (W Azerbaijan); Type locality: Chaldoran area (39° 03' N, 44° 22' E) in the northern regions of west Azerbaijan Province, Iran. raddei: Armenia, Iran, etc. 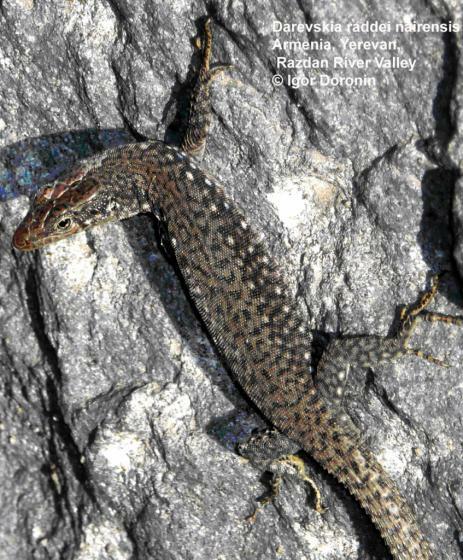 ; Type locality: Aras River Valley, SE Armenia, “Nieuvadi, Arax Valley, Armenia” fide ANDERSON 1999. 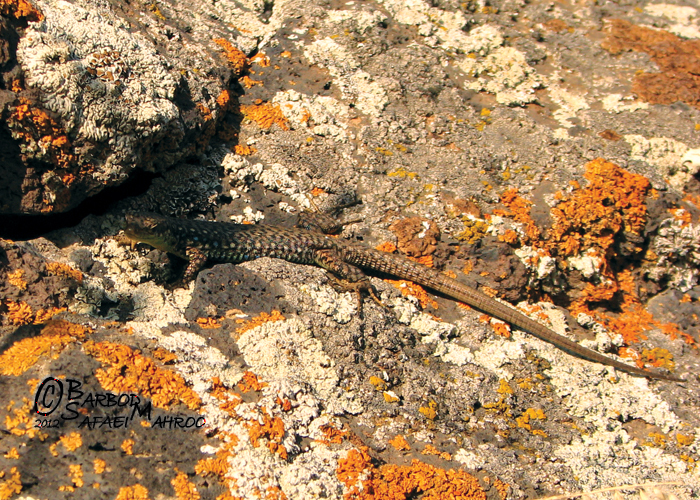 Reproduction Lacerta raddei (and Lacerta nairensis) has been implicated as maternal parents of the parthenogenetic L. rostombekovi and L. unisexualis, respectively (Uzzell and Darevsky 1975). 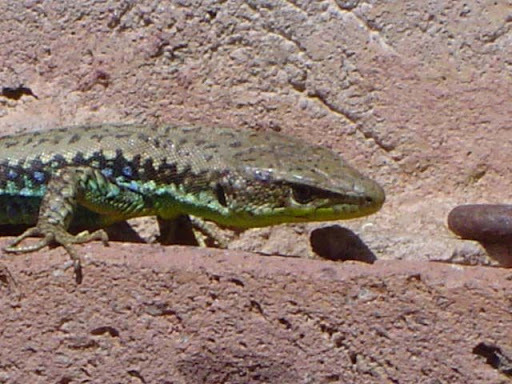 L. nairensis is also possibly the aternal parent of L. uzzelli (Darevsky and Danielyan 1977, Moritz et al. 1992). 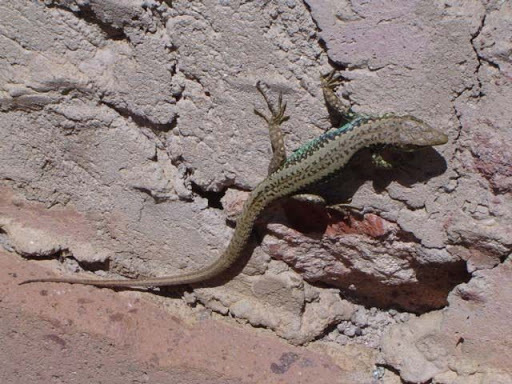 Interestingly, sterile triploids have resulted form crosses between males of bisexuals and females of sympatric parthenogens, either L. armenicaca or L. unisexualis in the case of L. nairensis, or L. rostombekovi in the case of L. raddei (Darevsky 1967, Darevsky et al. 1986). 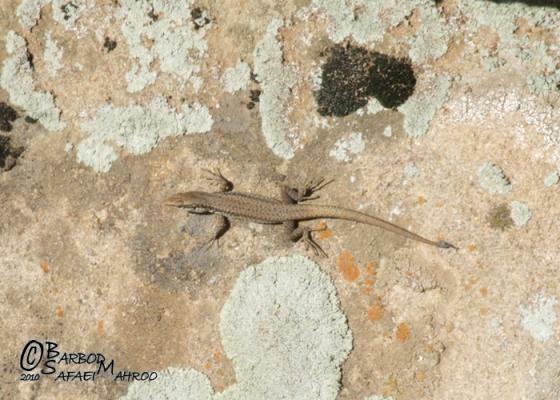 Diagnosis Diagnosis (chaldoranensis): A relatively small-sized lacertid, maximum SVL = 50−52 mm, TL = 102−110 mm; dorsal body with 50−55 smooth, or very weakly keeled, juxtaposed dorsal scales, not imbricated; ventral body with six longitudinal and 28−31 transverse rows of scales; 25−28 gulars on midline from the level of the third pair of chin shields to collar; 10−12 granules between supraciliaries and supra- oculars; collar weakly serrated, consisting of 9−11 scales; 29−30 lamellae present under the fourth toe; and 20−20 femoral pores. 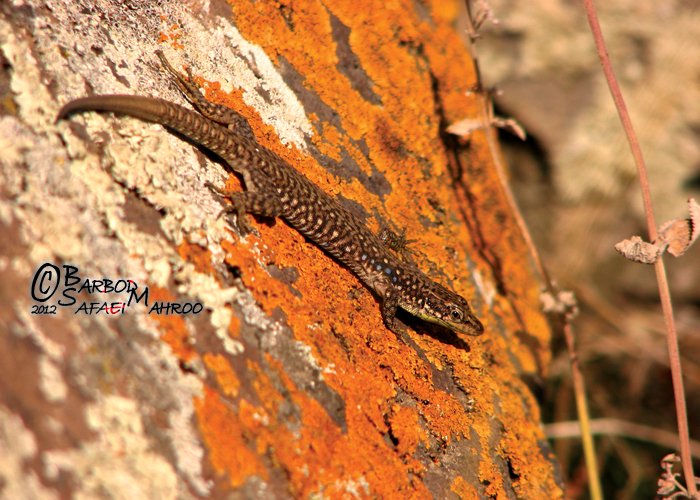 Comment Subspecies: Lacerta raddei defilippi is listed in ENGELMANN et al. (1993) but has been elevated to species level. 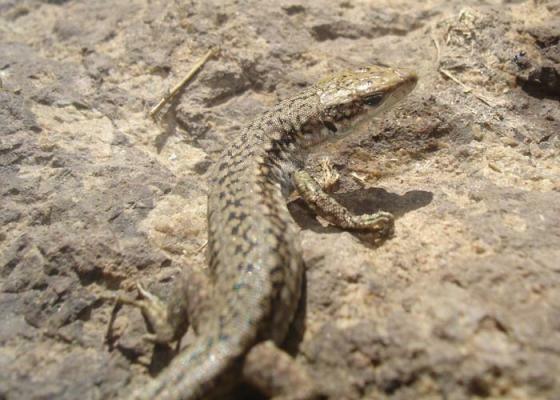 Etymology Etymology (chaldoranensis): Darevskia r. chaldoranensis is so named as it was collected for the first time from vicinity of Chaldoran in the west Azerbaijan Province, Iran.